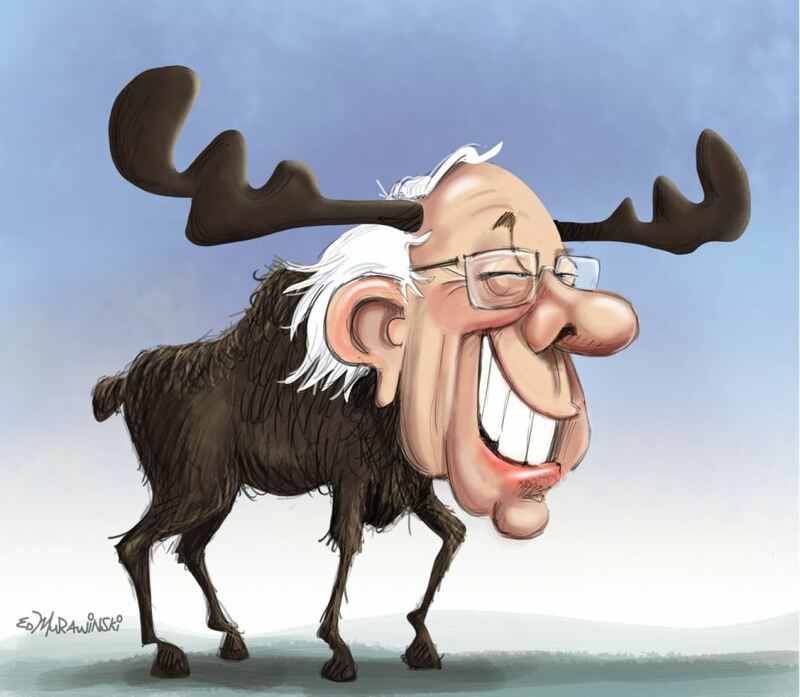 Is Bernie Sanders channeling Teddy Roosevelt? Having recently re-watched Ken Burns’ in-depth biography, The Roosevelts, I am struck by the similarities—both in substance and in style. I started thinking about this comparison as I watched Burns’ old-time film snippets of Teddy Roosevelt—particularly those documenting him on the campaign stump. Roosevelt, known affectionately as TR, was a fighter. In the film clips, his body language shows a man leaning into his arguments, gesticulating for emphasis, speaking forcefully and intently—all of this in a less-than-Adonis-like body. The similarity to Bernie Sanders’ outspoken, forceful, vigorous and passionate campaign persona is uncanny. But, of course, there’s more to this comparison than style. 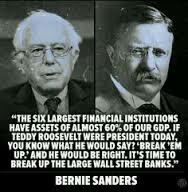 Teddy—the leader of the Republican party of his day, became a driving force for the Progressive Era in the US in the early 20th century—and Sanders has adopted that mantle 100 years later. Both [Sanders and Roosevelt] are strongly skeptical of corporate power, and live in periods in which the power, influence, and abusiveness of these institutions (in the view of the general public) is considerable and growing. Teddy’s major domestic agendas (trust busting, environmental stewardship and national parks, consumer protection) are at odds with significant corporate powers of their respective times, insofar as these interests collided with those of everyone else. … both intended to save capitalism from self-inflicted injuries driven by greed. Teddy Roosevelt did it by busting up the big trusts of his day. Bernie is focused on the banks that are too big to fail. He wants to break them up before their reckless gambling collapses the economy again as it did in the Great Recession of 2007-2010. Sanders’ 2016 platform is, of course focused on issues more modern than creating a national highway system–although Teddy would undoubtedly support the modern call for a vast upgrade to our crumbling infrastructure. Clearly, Sanders is continuing the Roosevelt legacy of progressive populism, and, like Teddy, he, willing to stump—tirelessly—for what he believes in, and is focused on matters of corruption and the abuse of power. You can take the Roosevelt platform and, almost point-by-point, correlate it with what Bernie Sanders is proposing 100 years later. I see that as good news. The bad news that, more than a century later, we are still not there on these issues. We’re still fighting for the basic tenets of a progressive, equitable society. And it’s just sad that a presidential candidate who is fighting back against democracy-killing corporate greed is regarded as out of the mainstream.